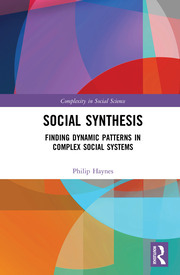 This interdisciplinary series encourages social scientists to embrace a complex systems approach to studying the social world. 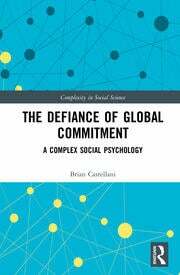 A complexity approach to the social world has expanded across the disciplines since its emergence in the mid-to-late 1990s, and this can only continue as disciplines continue to change, data continue to diversify, and governance and responses to global social issues continue to challenge all involved. 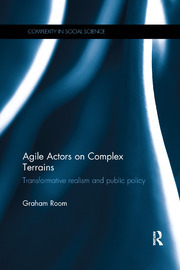 Covering a broad range of topics from big data and time, globalization and health, cities and inequality, and methodological applications, to more theoretical or philosophical approaches, this series responds to these challenges of complexity in the social sciences – with an emphasis on critical dialogue around, and application of these ideas in, a variety of social arenas as well as social policy. 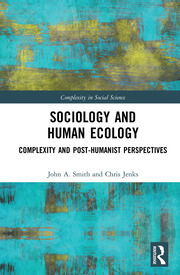 The series will publish research monographs and edited collections between 60,000–90,000 words that include a range of philosophical, methodological and disciplinary approaches, which enrich and develop the field of social complexity and push it forward in new directions. David Byrne is Emeritus Professor at the School of Applied Social Sciences, Durham University, UK. Brian Castellani is Professor in Sociology and Head of the Complexity in Health and Infrastructure Group, Kent State University, USA. He is also Adjunct Professor of Psychiatry, Northeastern Ohio Medical University. Emma Uprichard is Reader at the Centre for Interdisciplinary Methodologies, University of Warwick, UK. She is also director of the Nuffield, ESRC, HEFCE funded Warwick Q-Step Centre aimed at promoting quantitative methods across the social sciences.